13. Length of caudal peduncle. 14. Depth of caudal peduncle. The most common scientific classification of fish and other animals uses binomial nomenclature, a system of naming the organisms by Carolus Linnaeus. In this method, a scientific name is composed of two parts, generic name and specific name. Binomial nomenclature is also known as binary system or two naming system. In North America, freshwater fish often have multiple common names, depending on region or local culture. It is very common for a single fish to have several common names. To make matters more confusing, common names are sometimes applied to more than one species of fish. A good example is the name “pike” which is often applied to several species from the pike family as well as to walleye, which are members of the perch family. When encountering and identifying fish in the field, a good practice is to be as observant as possible, while avoiding activities that may harm individual fish. When possible, make note of shape, coloration, patterns, markings, spots, fins, eyes, mouth, gills and other features. When attempting to identify fish in the wild, the use of photography and videography can be critical. Fish can sometimes be photographed quickly before they are released. Fish that are harvested for food can be photographed in much more detail. Photographs and videos of fish allow anglers and naturalists to compare characteristics in detail with existing scientific information. A field guide can be among the most useful tools in fish identification. 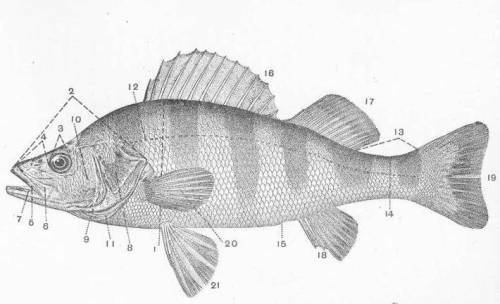 Several field guides exist which provide detailed information for identifying freshwater fish of North America.